Something you are not used to seeing. 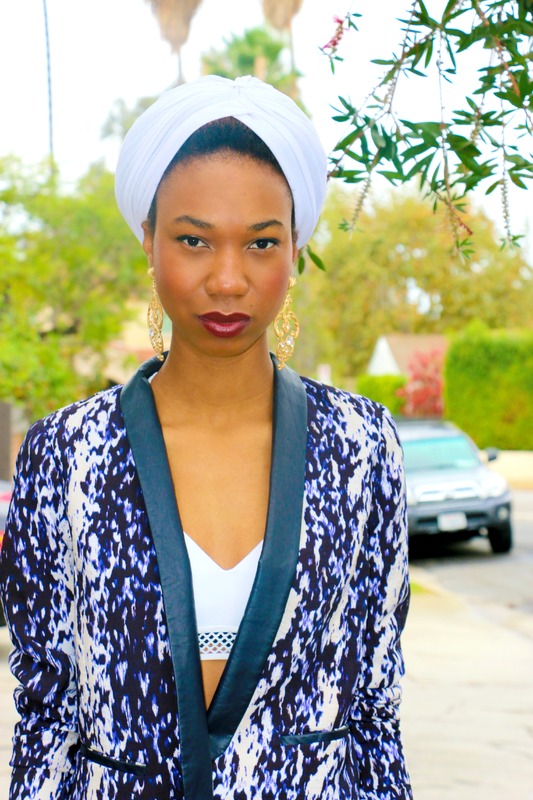 I am a huge fan of turbans, but for some reason it has never been featured on my site. It’s a very convenient accessory for a bad hair day and it shows off my features. H&M blazer, JAMES jeans, FOREVER 21 white perforated bandeau, CALL IT SPRING white pumps.